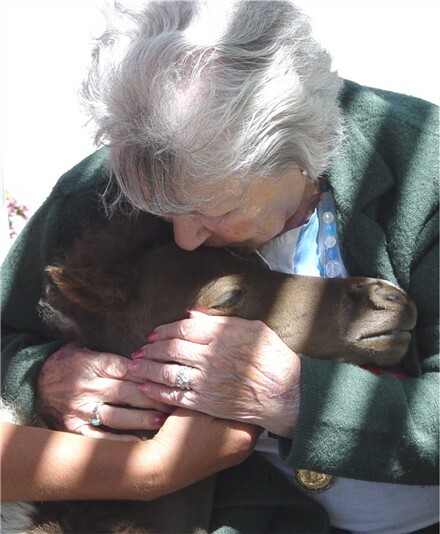 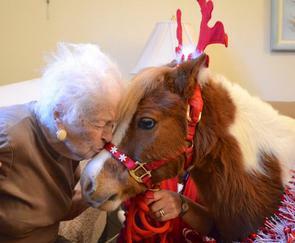 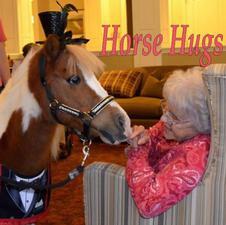 Horse Hugs was started in 2001 to promote the human-animal bond through visits with miniature horses. 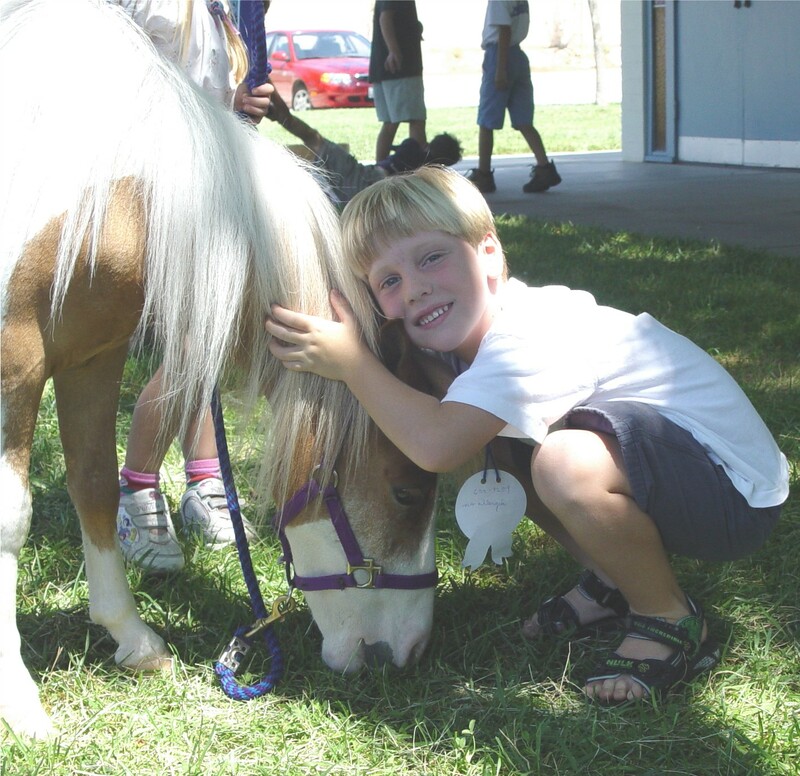 After owning miniature horses for a few years it became very apparent to us that their loving personalities and sweet nature had a very calming effect on friends and visitors. 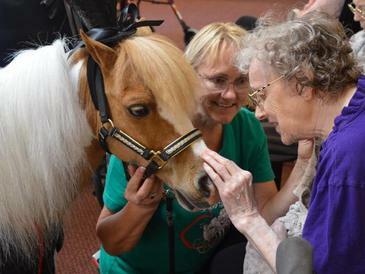 We realized that by visiting with these little horses we could bring smiles to the faces of patients who might otherwise be feeling bored, lonely or depressed. 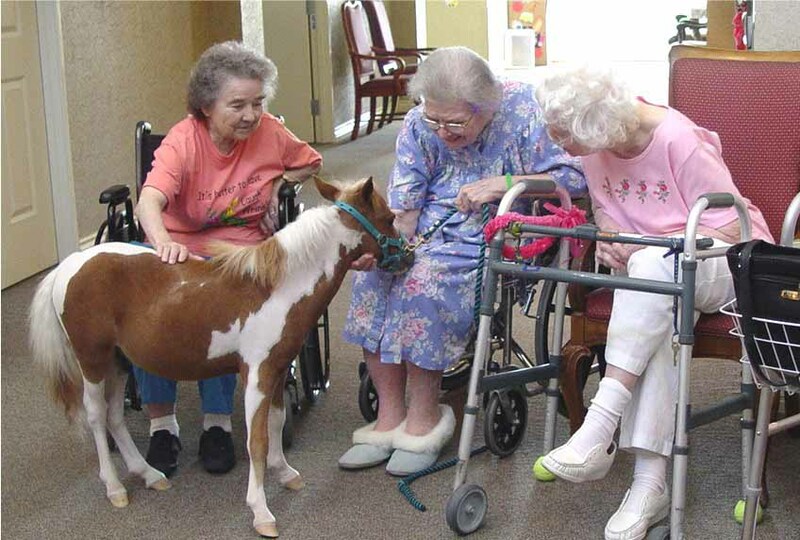 We started off by visiting nursing homes, hospices, Alzheimer's and assisted care centers, and hospitals. 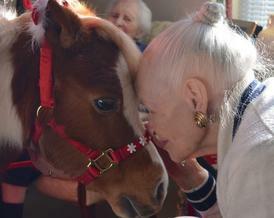 We soon were asked to make guest apearances at the homes of very sick children. 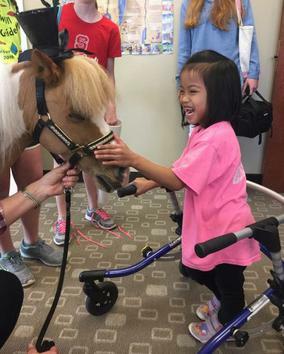 There is nothing like having a horse in your bedroom to help a child forget about their pain or discomfort for a few hours. 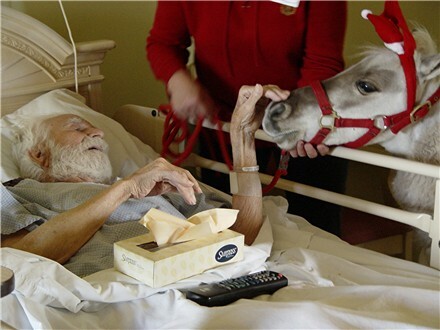 Hospitals and nursing homes have reported that the patients welcome the change to their established routines and look foward to the horses coming to visit.